Luene’s insurance career spans over 30 years, starting with her move to Calgary in 1983 from Medicine Hat. With a keen interest in Disability Insurance – the most complex and litigated type of insurance – Luene soon became recognized for her expertise in this specialized area. In 1985, she co-established the Paul Revere Disability Insurance Brokerage Office in Calgary. In 1988, she became the National Disability Director and Trainer with Empire Life as well as assisting in the building of a multi-line Insurance Brokerage operation. In 1990, Luene joined Crown Life as their Western Regional Manager with her first task being to build and manage a full-service Brokerage Division. She then transitioned it into a Managing General Agency distribution system for Western Canada. An entrepreneur at heart, Health Risk Services was born in 2000 of Luene’s conviction and passion – a dynamic combination. Conviction that clients deserve more than the one-size-fits-all products and services offered by conventional insurance providers. And passion for turning challenges into opportunities and sharing her knowledge and expertise so that clients can make the right choices for their needs. A Registered Health Underwriter (RHU), Luene speaks and shares her knowledge and expertise at numerous industry conferences. She is often contracted by legal firms as both a professional advisor and witness on disability insurance policies in proceedings against insurers in non-payment cases. 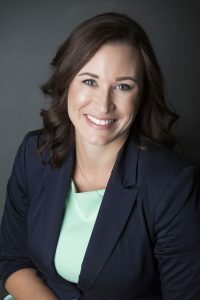 An active industry contributor, Luene has served as the Alberta Director for the Independent Financial Brokers Association of Canada (IFB) for eight years and an additional two years on its Executive Board. As well, she has successfully organized numerous industry conferences, a testament to the respect she garners from colleagues and to her strong organizational abilities and passion for education. Luene enjoys working directly with existing and new clients providing insurance and benefits knowledge, innovative program design, comprehensive plan management and general attentiveness to any situations that may arise regarding administration or claims. She takes great delight in welcoming all clients and visitors to our office with a smile and a cup of coffee and is always happy to chat with you about your Employee Benefits Program or Insurance needs. Carrie joined the Health Risk Services team in 2013. 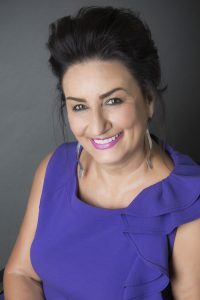 With a strong background in Customer Service Management, and most recently the Dental Industry, she brings a desire backed by experience to provide the highest level of service possible. Her dental experience has proven an asset in helping Health Risk clients navigate the often confusing world of Dental Benefits. This experience, combined with her Business Administration Diploma, also assist us in creating Dental Programs that truly work within the chosen parameters of plan design and costs. Her extensive knowledge and abilities in the management of dental claims ensures employers’ plans are well managed, employees are reimbursed properly and within 2 business days and dental providers are paid efficiently. Carrie manages the Benefits Operations from plan building, enrollments, claims adjudication, invoicing and accounts receivable with exacting accuracy and efficiency. This includes handling all aspects of clients’ plans including traditional Health and Dental Plans, Health Spending Accounts, Flexible Spending Accounts, Cost Plus Plans and Short-Term Disability Plans. Carrie is always available to answer questions from clients or their employees. If she doesn’t have the answer at hand, you can bet she’ll have the right information to you shortly. A native Calgarian, Carrie loves to explore the city’s parks and pathways and surrounding areas with her husband and their dogs. Pamela’s background is extensive with a focus mainly in the finance and insurance industries having earned a Bachelor of Commerce, Financial Services degree in 2008. She has had the pleasure working in various administrative, customer service and financial roles over the years. Pamela first came into the industry, twenty five years ago, working for financial representatives at an investment firm in Saskatoon, Saskatchewan. This path led to Calgary in 2002 and into banking, mutual fund investments, group benefit insurance, underwriting, and risk analysis. She spent three years working closely with insurance brokers, clients and the insurance companies as a marketing assistant. Following that she was an underwriter for one of Canada’s fastest growing mortgage companies and was honoured with a nomination in 2009 as one of Canada’s Best Underwriters. 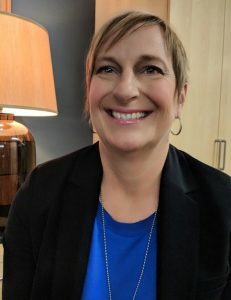 After the mortgage crisis in 2008, she decided to take a turn into a new industry and was an Authorized Agent for the Crown for Service Alberta for the past seven years. Pamela is pleased to be back in the industry she loves the most and assisting clients with their benefit needs. Her main focus, regardless of the field of work, has always been customer service and retention. Putting your needs in the forefront and working together to find solutions is what matters most to her. Born in Saskatchewan and living in Calgary for 16 years, Pamela spends as much time in the mountains with her husband and dogs as she possibly can! Claudette Stiven, Tech Chix is a digital marketing and communications consultant, who is eager about helping businesses understand and leverage the power of social media and especially Facebook, Linkedin and Google my Business to actually grow their business. Over the past decade, through full-time roles and consulting work, Claudette has created content, produced events, driven social media strategy, shaped brand architecture, and built online and offline communities for everything from dental/orthodontics, organic coffee, realtors to cardiac clinic and currently with Health Risk Services. Most recently working with clients to overseeing brand identity, social media and content strategy, email, paid media, online/offline partnerships, influencers, sales funnels, events, and all brand campaign work. Claudette is a fan of good movies and good wine with equal enthusiasm, and when she’s not posting a Facebook live with Cubby, you’ll find her at the nearest HighFitness class or walking path. 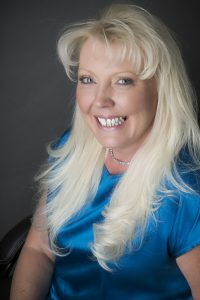 Claudette has a degree in computer science and Advance Certificate in Social Media from the University of San Diego.  Segura joined Health Risk in 2000 when he became “the arms securing you” – the symbol and champion of the Health Risk Services logo. He continues daily to symbolize the “Security & Protection” afforded to Health Risk clients.